You can enjoy more than 20 kinds of vegetable skewers wrapped in thinly sliced meat, along with a wide variety of alcoholic beverages. The restaurant features Ibaraki Bimeiton pork shabu-shabu. 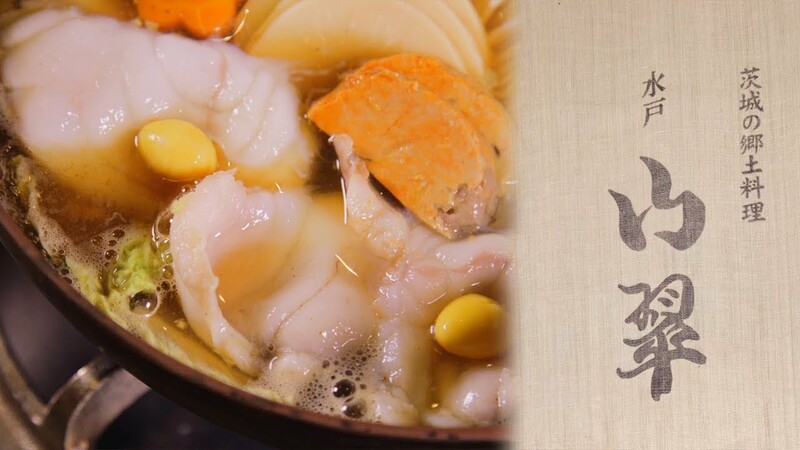 Enjoy our famous anglerfish hot pot cold and refreshing in the summer, or warmed to perfection in the winter months. We also recommend the high-grade Okukuji Shamo chicken delicacies and local sake varieties.